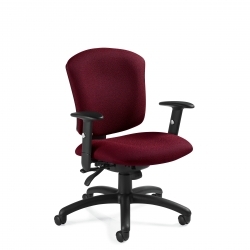 Recalculates the value equation for work chairs. 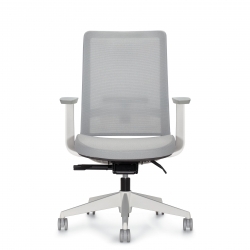 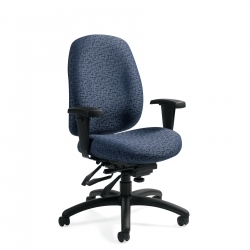 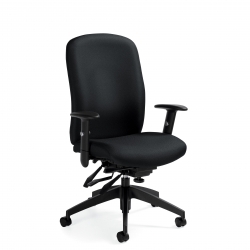 A one-piece polymer shell synchronizes the seat and back with every movement. 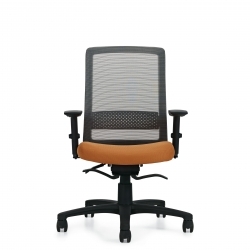 A highly durable frame withstands the demands of both office and campus life. 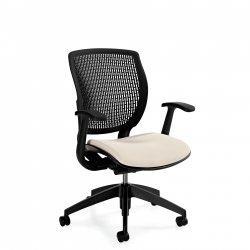 Perfect for creating interactive spaces that promote collaboration. 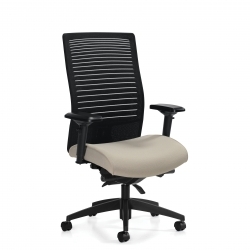 Elastic and non-stretch mesh fibers weave together to create a flexible, custom support lumbar back. 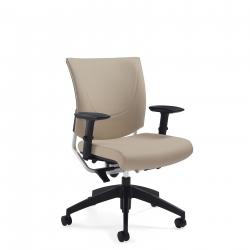 A new elastomeric back support system ensures a healthy posture. 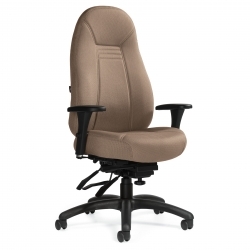 Augments the popular features of Granada with a more contoured seat and back with heavily padded upholstery. 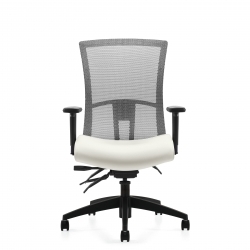 The next generation of Supra with additional user adjustments for a custom fit. 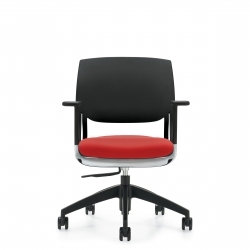 Curved, streamlined seat and back cushions for a more comfortable sit.